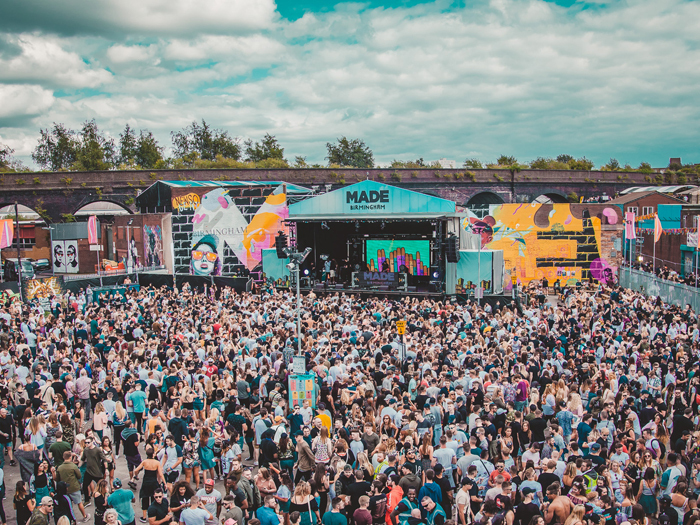 UK: On July 28 MADE Festival will introduce Multi Agency Safety Testing (MAST) as part of its new harm reduction strategy, allowing festival-goers to test their drugs and make more informed choices. This is the first time such safety testing has been used in the West Midlands. The decision to use MAST is the result of a new partnership with The Loop, West Midlands Police, the Police and Crime Commissioner, and Birmingham City Council. The Loop has worked successfully with a number of festivals over the last five years in helping to introduce an approach focused on harm reduction. Their onsite team will also provide a counselling and support service for anyone who may be experiencing problems as a result of drug or alcohol use. The Loop’s MAST service is a form of drug safety testing whereby individual users submit samples for analysis and receive their results as part of a confidential, individually tailored harm reduction package, which facilitates a direct dialogue between the customer and The Loop’s specialist harm reduction team. This results in a greater understanding of the drugs that may be taken and subsequently a much reduced risk of harm. This announcement signifies a progressive approach to public safety employed by West Midlands Police and Crime Commissioner David Jamieson, West Midlands Police and Birmingham Council. West Midlands Police and Crime Commissioner, David Jamieson, said: “I support drug safety testing because it can prevent deaths of young people from harmful substances. Also it can reduce the cost to public services of drug taking. Drugs are extremely dangerous and people always put themselves at risk when they consume them. I do not condone drug use, but we need to be realistic that a minority of young people are using drugs despite the risks. Safety testing can actually reduce the number of drugs that are used at an event. It is not uncommon for festival-goers to voluntarily dispose of their drugs after safety testing reveals what they are composed of. Safety testing is an evidence based idea that has worked elsewhere in the country to reduce harm and alleviate demand on emergency services. “If we are to cut crime and save lives there’s one thing we can all agree on: we need fresh ideas. Beyond our moral duty to protect life, the potential savings for public services, and in turn the taxpayer, could be vast if just one serious overdose is prevented. Safety testing also helps the police to gather intelligence on new drugs in the region. That intelligence can then be used to warn people of the dangers around these substances, and to prosecute the dealers who are putting profit above young people’s lives. Following four years of consecutively sold out events, MADE Festival returns on July 28 with a line-up that includes Dizzee Rascal, DJ EZ, Kurupt FM, Andy C, DJ Q, Chris Lorenzo, Camelphat and more.